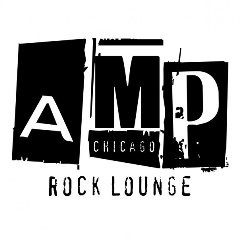 Having recently come under new management, AMP ROCK LOUNGE is worth checking out anew even if you've been there many times in the past. They claim to be the best late night bar in the Lincoln Park and Old Town area, hosting great live bands and DJs, with the music pumping late into the night (as late as 4:00 AM on Tuesdays, Wednesdays, Thursdays, Fridays, and Saturdays!). The drink prices are very low but they're always poured strong and generous. The trendy atmosphere with the green mood lighting will definitely keep you feeling good. Great mix of tunes here from hip hop to pop to dance.